The registry is still under construction. Log in for patients will be available on this webpage as soon as the study is open for inclusion. We study the severity of hair loss caused by various types of chemotherapy. You can help to gather knowledge by completing some questionnaires. With this information future patients can be informed better about their risk of hair loss. The information will also be used for studies to prevent hair loss. This study is performed by the CHILL group. Each hospital is responsible for its own data and is controller of this data in the sense of European privacy legislation. 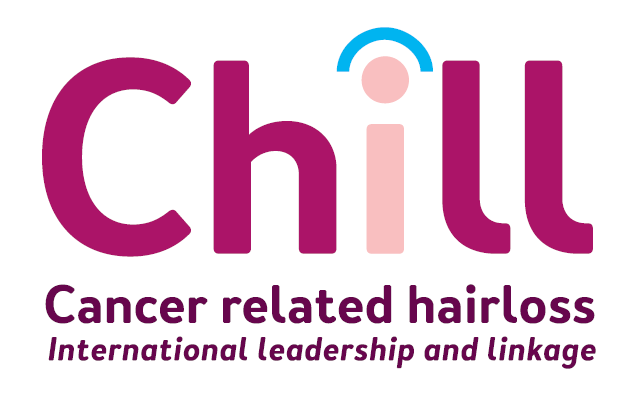 IKNL, the Netherlands Comprehensive Cancer Organisation, operates as (mutual) controller of the CHILL data, which consists of the total of data submitted by the participating hospitals and the data submitted by the participants. More information about the data processing can be found here. All patients with the prospect of hair loss through chemotherapy can participate in this study. It applies to patients using scalp cooling as well as those who are not. The results of this study will add to the knowledge about risks of hair loss during chemotherapy. The results will be added to the decision aid for hair loss on this website. With the aid patients can compare the chance of hair loss following particular types of chemotherapy, with or without using scalp cooling.